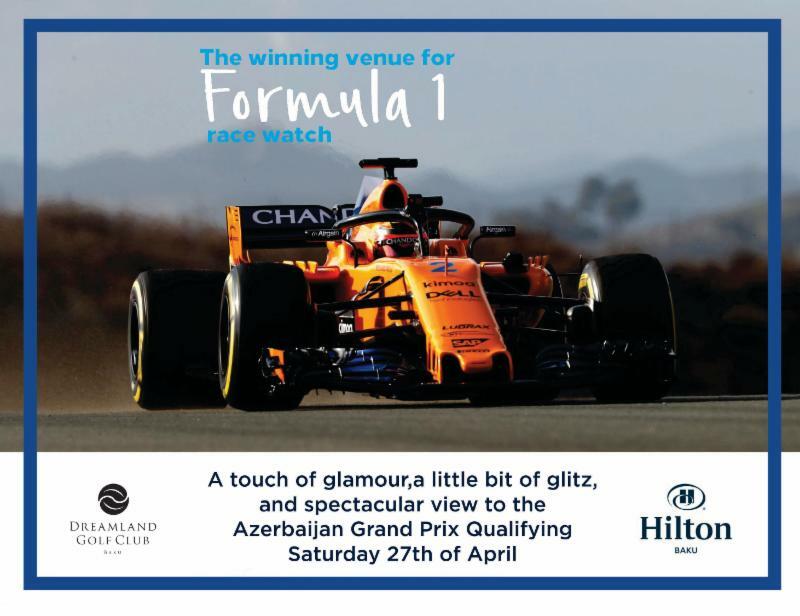 Given the success of last years Dreamland Golf Club hospitality suite at Saturdays F1 race qualifying we have once again reserved the meeting room at the Hilton Hotel. Join us for an afternoon of racing with an open buffet and a beverage package to get close up action ahead of Sunday’s race. 20 tickets are available on a first come first served basis – AZN395 per person for the full program. Please contact General Manager Phil Jones – philip.jones@dreamlandgolfclub.com for more details.